While there's still no clear evidence that red wine is better than other forms of alcohol when it comes to overall heart health, moderate red wine consumption has been found to reduce blood clots and blood vessel inflammation, both of which have been linked to cognitive decline and heart disease. Red wine has also been recognised for its anti-inflammatory properties, with the antioxidants in red and white wine also helpful in preventing cancer according to some researchers. In a recent study by the University of Barcelona, it was found that "white wine phenols have a comparable or higher antioxidant capacity than red wine phenols," busting the myth that only red wine can be healthy. White wine also has similar cardio-protective effects as red wine, helping prevent heart attacks and other major health problems associated with the heart, kidneys, and blood vessels. 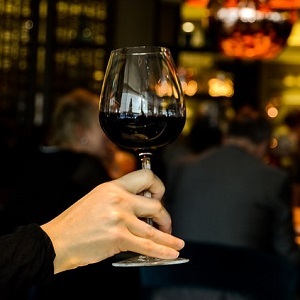 According to the study, wine could be made even healthier if wine makers were aware of the influence that different technological processes had on phenolic composition. While the positive links between red wine and a healthy heart have been known for a while now, surprisingly, red wine also has a positive effect on memory. Resveratrol, a compound largely found in the skin of red grapes, has been found to improve connections in specific brain areas associated with memory. While some studies have taken this further by recognising resveratrol for its anti-aging and anti-cancer properties, these claims are controversial.